Even though New Zealand’s sports betting is under a monopoly there are many opportunities for online sports bettors. The actual country of New Zealand comprises of two islands located in the southwest Pacific Ocean. The first settlers were the Polynesians in the 1200s who developed into Māori people, before being joined by Europeans 400 years later. The modern New Zealand culture has been mostly shaped by the British, although since the 1960 there has been a greater influence of old Māori culture. New Zealand was one of the founding members of APEC in 1989, which encourages free trade across Asian-Pacific states. 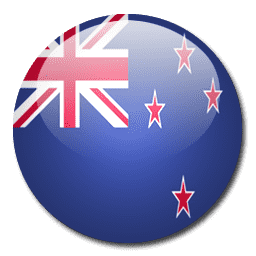 In this guide to sports betting in New Zealand you can first find an overview of the growth of live sports betting in the country. Then the online industry is looked at along with what taxes sports bettors are expected to pay. After this you can see how accessible sports betting sites are for New Zealand residents before some final thoughts of future developments. For a long time New Zealand rejected gambling. Sports betting was declared illegal in 1920 until the Totalisator Agency Board (TAB) was awarded a monopoly to run pari-mutuel betting at race tracks through a number of local organizations owned by state governments. In the 1990s gambling began to grow in New Zealand with the opening of its first casino in 1994 followed in 1996 with the permitting of TAB to offered fixed odds betting and sports betting . The New Zealand Racing Board took over the operations of the TAB in 2003 and in addition to providing safe gambling it has responsibilities to promote the racing industry. While the NZRB continues to hold a monopoly on New Zealand’s land based sports betting you can find over 640 TAB outlets  around the country, offering odds on rugby, cricket and even sheep shearing, and a wide variety of betting products on offer including those with fixed odds and pari-mutuels. In addition to this there is a phone service and a network of TV channels. NZRB also runs the only permitted online sportsbook in New Zealand, alongside the NZ Lotteries Commission who operate the only other official online gambling site. 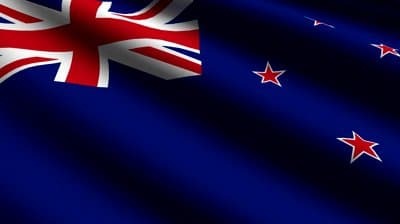 While foreign companies like Betfair have tried to enter New Zealand’s market legally , only to be rejected, there has been no effort made by New Zealand to block international operators. There is also no penalties for New Zealanders who choose to wager with a foreign company , which has led to many offshore sports book accepting bets from residents. Although there is an advertising ban in place, New Zealanders can pretty much pick and choose which sites they wish to wager on. These can include nearly all of the big name UK and European sites which offer competitive prices and decent bonuses or free bet offers. Due to the legal status of the sites in New Zealand it is doubtful you will have any support from the government if things go wrong, so ensure you pick a known and well regarded company to bet with, which holds a respected gaming license. Make sure you check the terms and conditions too, especially for any bonus offers you wish to take advantage of. There is currently no taxation applied to gambling winnings in New Zealand, meaning you can take your profits out without having to give up any more to the government. Generally speaking many of the major sites welcome customers from New Zealand. Although this technically breaking the law by doing so, they are not based in New Zealand jurisdiction. English is obviously among the standard languages for most sites so this is not a problem, although you may have to hold you balance and wager in either Euros or US dollars. Credit card deposits and withdrawals such as Visa are normally the easiest option for most sports bettors, although debit cards are also normally an option. You may have issues withdrawing back to some cards like MasterCard, in which case you will have to find an alternative method such as bank transfer or check. Other deposit and withdrawal methods which are popular include e-wallets such as NETeller or Skrill which allows for fast online transactions. An additional benefit of these is you can keep your wallet in US dollars or Euros to prevent having to constantly make currency conversions if you use a number of sites. There are payment processor like POLi which works in s similar way to an e-wallet, only it can be funded via online banking rather than cards. There currently seems a contradictory stance towards online gaming in New Zealand, where the government will not permit any new operators online, yet does not prevent offshore sites. This means that as a sports bettor you can pick and choose from some of the best online sports books in the world. Whereas other countries are keen to shut down international sites and stop the flow of money out of their boarders, New Zealand do not seem to have any desire to do so at present. The assumption is this will change at some point in the future, although with no indication when or if this will happen you should be able to carry on getting some of the best deals in internet sports betting.